Gone are those days when cosmetic surgery was meant only for a handful of people. With a drop in cosmetic surgery cost, the telltale signs of ageing are truly a thing of the past. Clinically known as rhytidectomy, facelift surgery reduces the appearance of facial wrinkles; reverses the harmful effects of time, stress, and exposure to pollution; and uplifts the overall appearance of the face. During the surgery, the plastic surgeon lifts & tightens the underlying muscles of the face, while removing the excess pockets of fat & skin, thus creating aesthetically pleasing contours and rejuvenated facial structure. It is necessary to understand kinds of surgery and their benefits, to have a well-informed and productive consultation session with the surgeon. – Upper facelift: refers to the reduction of wrinkles and lines in the upper third of the face through surgical procedure. – Mid facelift: refers to the treatment done on the area that extends from the cheekbones to the jaw. – Lower facelift: refers to the tightening of the skin on the neck and the underlying muscles from the chin down to the collar bones. – Mini facelift: refers to the restoration of the jawline, whose definition has lost due to diminished elasticity. – Full facelift: refers to the combination of all elements of upper, mid and lower facelifts. A full facelift restores face’s definition, reduces wrinkling & sagging skin, and rejuvenates features in a way that looks natural. It is an effective procedure, but not for everyone. 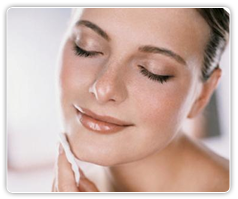 There are chances that your cosmetic goals can be achieved through chemical peel or microdermabrasion too. Experienced surgeons and dermatologists at Dermaworld Skin Clinic gives emphasis on a thorough consultation session to gauge the possibility, and inform the patient about the limitation. An excellent investment for a fresher and more youthful appearance, facelift cosmetic surgery isn’t just for women. Men too can gain benefit from rhytidectomy to erase the signs of aging and achieve a younger, rejuvenated look.